We are weeks ahead of the Christmas story when Mary and Joseph looked for a safe place to birth the baby Jesus, the Savior of the World. The holy family will be turned away at Motel 5. Jesus was born in numbing poverty. Jesus begins his life as a homeless refugee. Jesus is a nobody born in a smelly barn. Just a minute! My grandfather Reinhold Schmiechen sailed on the Ship Patri and landed at Ellis island in the late twentieth century. Barbara’s father Walter Baumgartner came over on a ship in 1919 and landed in New York City. That means I came from a family of German and Swiss immigrants looking for a new life in America. Welcoming refugees is the DNA of our national fabric. How does one prove he or she is a Christian? Do we ask refugee to take a Biblical Lie Detector Test? Can you recite the Apostles Creed, The Nicene Creed, the Books of the Bible, 15 Psalms, 25 St. Paul quotes and the core of Jesus’ teachings? We need to make sure our hearts are not strangled and our minds polluted by this hateful rhetoric bouncing around in our country. Even Aaron Rogers, the quarterback for the Green Bay Packers said hate filled Muslim comments shouted at a game has no place in our lives. God has no control over these unspeakable 9/11 acts of terrorism where ever they occur in the world. We believe God is present – not in answers and solutions but in life promises and reconciling healing. We believe people of faith can offer solace, community and new life. As Christians we reject revenge – Jesus forbids it. We reject hateful prejudice – Jesus forbids it. 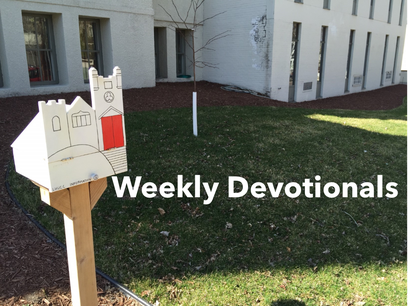 We reject paralyzing fear of our neighbors – Jesus forbids it. How can we let God’s reconciling hope in Christ settle down in us? Advent begins the Church Year. There are four Sundays preparing for the coming of Jesus - people longing for his coming,and our preparation to receive new life. 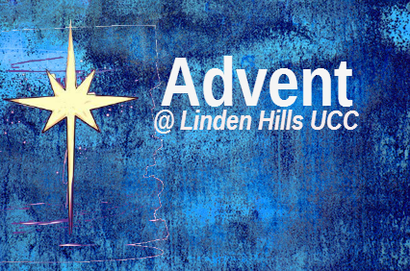 Advent means "coming" or "arrival". The color is purple (or blue). Advent Weekly Ritual: Light Two Candles at Mealtime.